At GaadiKey, we regularly cover latest updates from the auto industry – be it a car or bike. We occasionally test drive and share our ride experience – you can check car reviews and bike reviews to read about the same. More and more cars are manufactured and are released to market on a regular basis. Today we are refreshing the list of compact sedans which are relevant for the year 2016. We are listing these compact sedans based on the popularity and recency. Feed free to contact us if you want to update this list. Maruti Dzire is the market leader in compact sedan segment. The Dzire has consistently recorded highest sales when compared to its competitors. 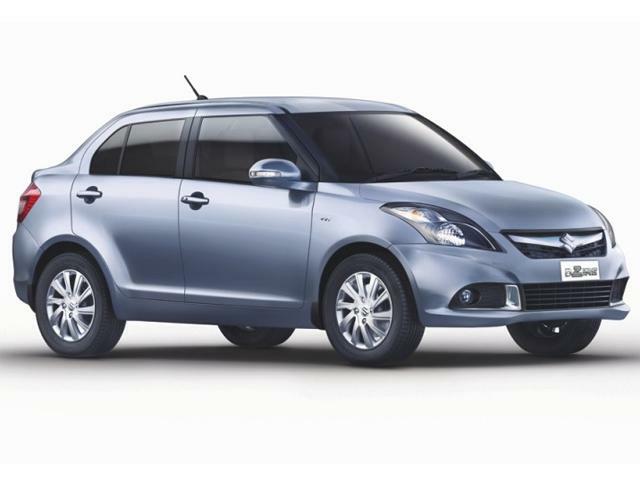 The Dzire which is also known as Swift Dzire is a smart choice for a car buyer who is looking to own a compact sedan – Powered by 1197 cc Petrol engine, the petrol car offers best in class fuel economy of 20.85 Kmpl. The Dzire is also available in diesel variant with 1248cc diesel engine. The ARAI mileage figure of Maruti Dzire Diesel is 26.59 Kmpl. The car gets a 5 speed manual transmission and is also offered in automatic version (AGS). The boot space of Dzire is 316 litres and has a fuel tank capacity of 42 litres. The ex-showroom price of Maruti Swift Dzire LXi Petrol base model is Rs 5.23 Lakhs and the price of Dzire Diesel is Rs 6.12 Lakhs. Maruti Swift Dzire Product Page. Next to Maruti Suzuki, Hyundai is the largest car manufacturer in India. The Xcent is a very important product from their portfolio – the car was previously known as “Accent”. The Xcent is a good looking car from the South Korean automaker. 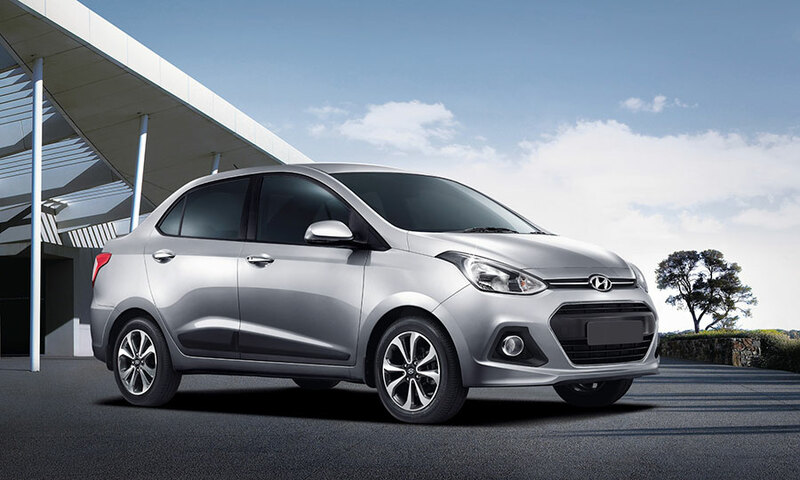 Hyundai Xcent is available in both petrol and diesel variants. The Hyundai Xcent Petrol version is powered by 1197 cc Petrol engine and the Diesel version is powered by 1120 cc Diesel engine. The starting price of Hyundai Xcent Petrol is Rs 5.47 Lakhs and the starting price of Xcent Diesel is Rs 6.79 Lakhs. 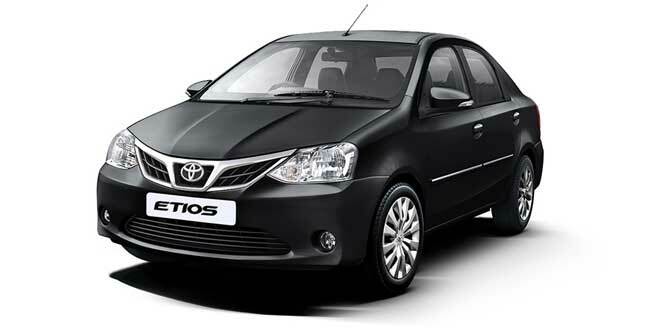 The Etios is a popular car from the Japanese automaker – Toyota. Toyota Etios offers a great comfort level – if you are using taxi services like Uber or Ola – you would have already come across these cars. The car is priced a lakh higher than Dzire or Xcent. The Petrol Toyota Etios is priced at INR 6.42 Lakhs ( Ex-showroom Delhi) and the Diesel Toyota Etios is priced at INR 7.55 Lakhs (Ex-showroom Price). Both petrol and diesel variants of Toyota Etios gets 5-speed manual transmission gearbox. The automatic transmission in Etios is not available yet. 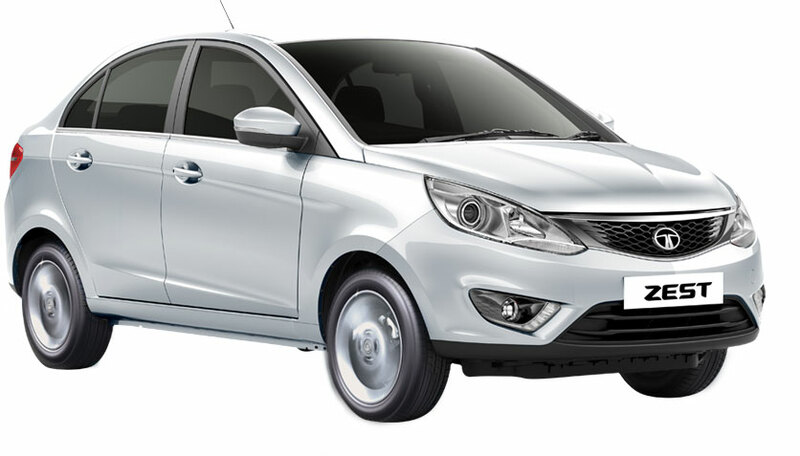 Zest is a cool compact sedan from Tata Motors. Tata Zest has established its own reputation and also reports decent monthly sales. While Tata Zest Petrol version is powered by 1193 cc Revotron engine, the diesel version comes in 2 different options – 1248 cc diesel engine that delivers 75 PS power and the mightier diesel engine which delivers 90 PS of power is also available. The starting price of Tata Zest Petrol is INR 5.10 Lakh and the starting price of Tata Zest Diesel is INR 6.35 Lakh . Tata Zest offers Automatic transmission for 90PS Diesel engine. 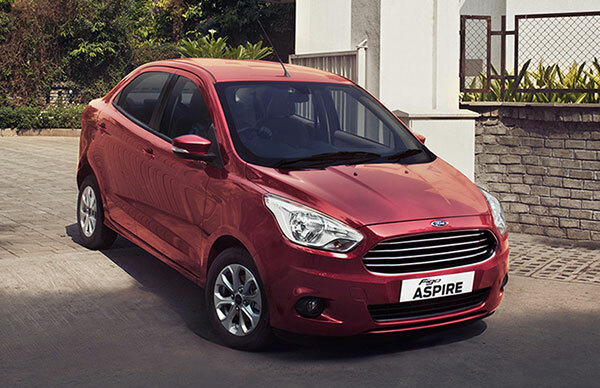 “Aspire” which was previously known as “Figo Aspire” is the latest compact sedan from American automaker Ford. One important highlight of Aspire is the safety feature. Even the basic variant of Figo Aspire gets maximum safety features with driver side airbag. In the front, the Aspire looks pretty similar to Figo hatchback. The price of Aspire Petrol starts at INR 5.21 lakhs and the Aspire Diesel price starts at INR 6.3 lakhs. The Aspire has been priced pretty competitively when compared with other compact cars. If you want to go with the “Ford” brand – the Aspire is going to be a great choice. First previewed in Auto Expo 2016, the Volkswagen Ameo officially got launched in India on June 5th this year (2016) with a price tag of INR 5.24 Lakhs ( Ex-showroom Delhi). Volkswagen Ameo being a premium brand has launched this car with an affordable price. Many aspects are borrowed from Polo. The Ameo is currently offered only in petrol version with 3 trims – trendline, comfortline and highline.